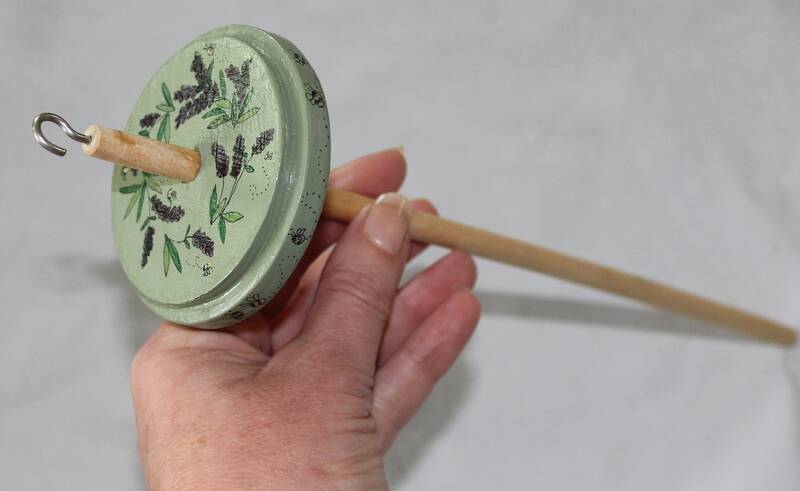 I have been spinning yarn for over fifteen yarns and love to spin on both a wheel and a drop spindle. 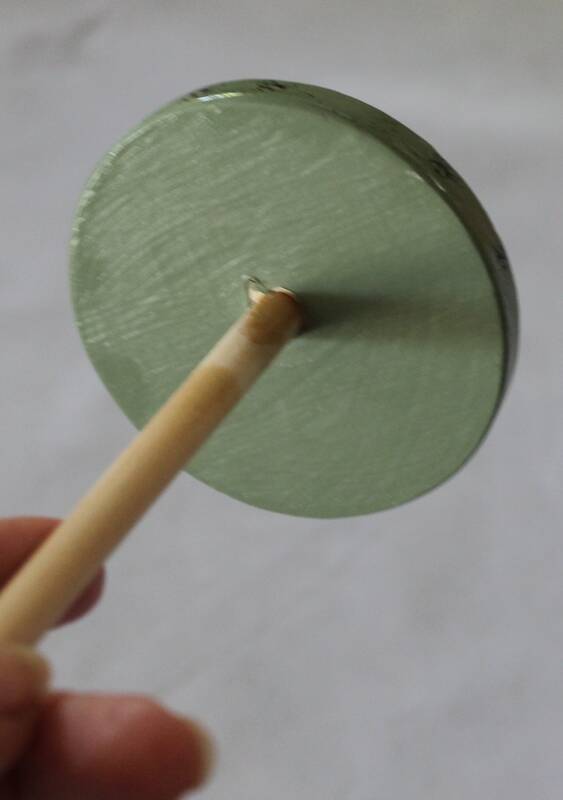 They are an ideal way to see if you like spinning before committing to a wheel and they are fun to use and very portable. 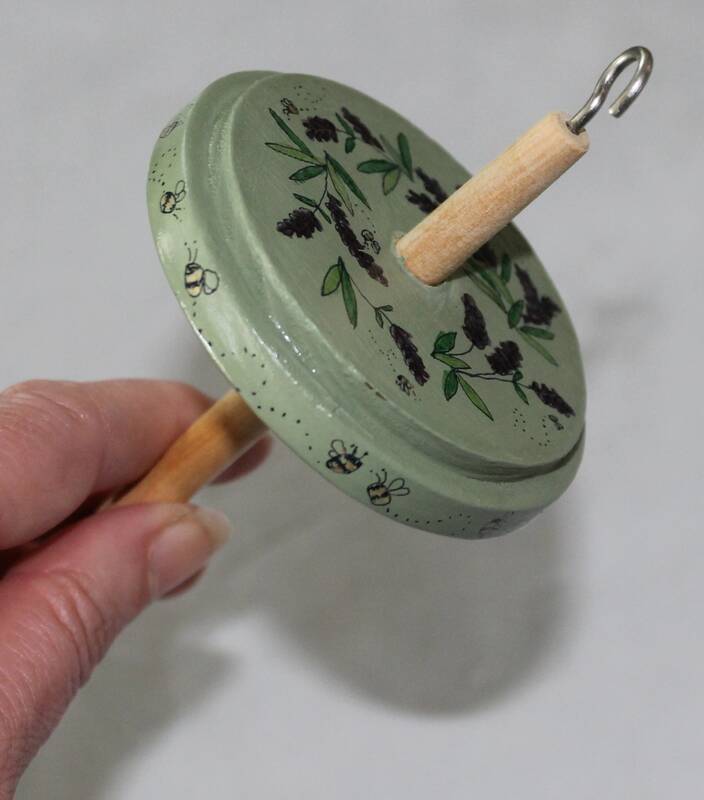 This spindle is about 35g in weight and is a top whorl, the whorl is wide enough to get a large amount of single ply underneath and it can ply yarn easily. As usual I have to put my own twist on to the equipment I use and each of my spindles has been base painted with a chalk paint. I have then painted by hand a little quirky part of my life. We keep bees and have lots of lavender in the garden. In summertime it is a garden filled with the sound of happy bees amongst the lovely smelling lavender. 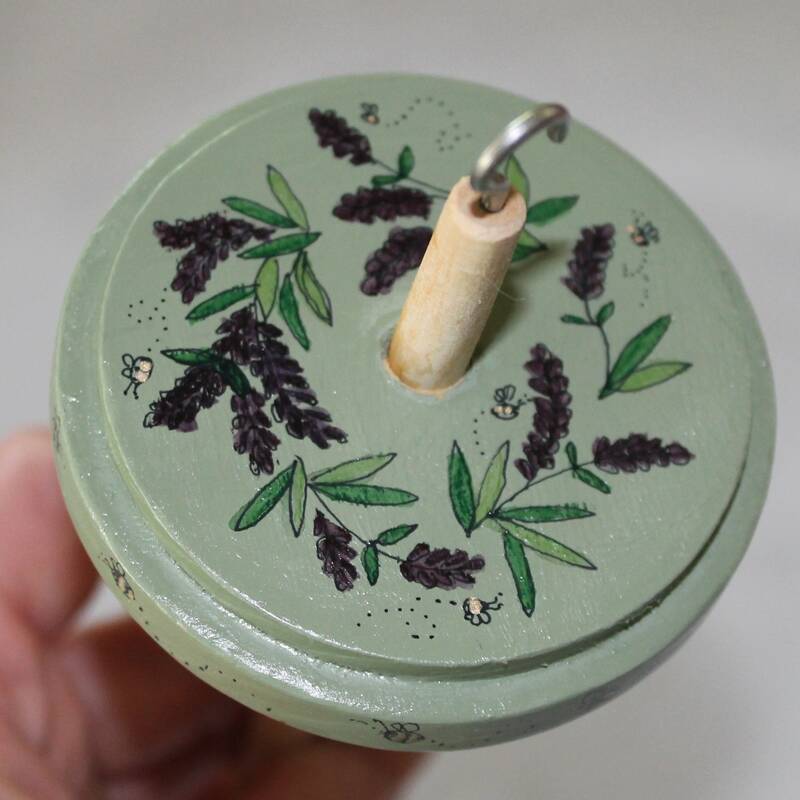 On this spindle I have painted sprigs of lavender with the bees buzzing between flowers. 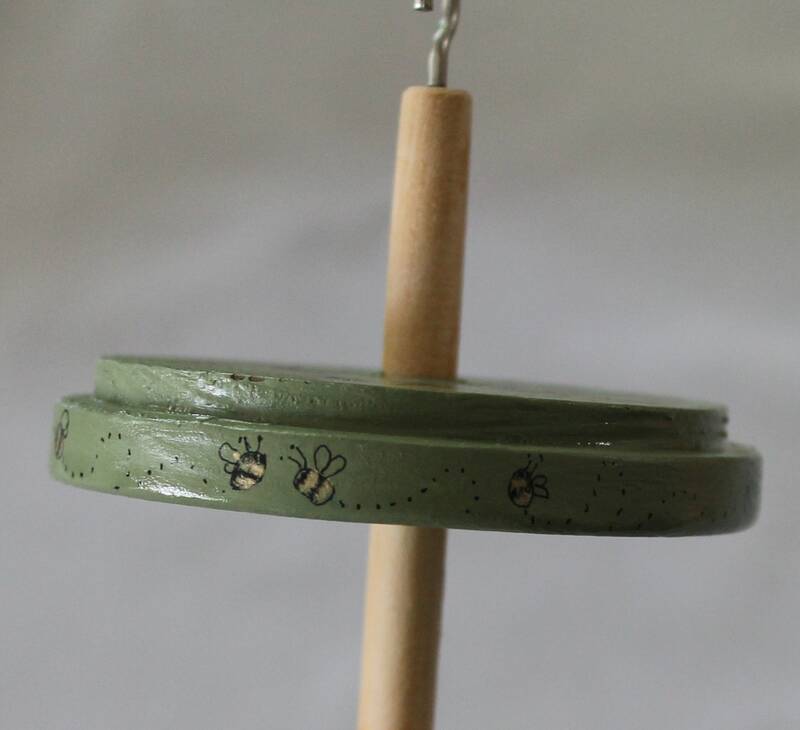 The edge of the spindle whorl I painted more happy bees. I have finished the painting with a few coats of high gloss varnish.